They did have a second sign up session that restarted at 6 p.m. – and promptly locked out about 95% of the people trying to sign up. After 20 minutes attempting to sign up for the experience, I simply abandoned all hope and moved on. As expected, the Passholder Preview Event proved to be very popular. Registration has now reached capacity and all available slots have been filled. Kind of chipper and positive, given the huge number (over 1200) of negative comments posted online. 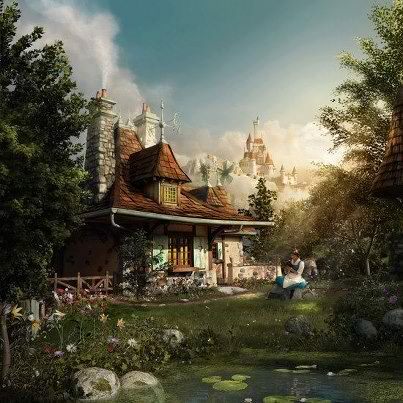 We are aware that some of you had difficulty in trying to sign up for a New Fantasyland preview earlier this week and appreciate your candid feedback. We understand how precious your time is and sincerely apologize for any inconvenience you may have experienced. The demand for New Fantasyland has exceeded even our expectations and we are working quickly to create additional preview opportunities. We expect to be able to provide more details by the middle of next week via email, as well as at www.disneyworld.com/passholder and on this page. We value the special relationship we have with you as passholders and want to assure you that we are committed to making every experience you have with us the best it can possibly be. So… I guess the operative word now is “stay tuned.” I’m frankly not holding my breath, and will plan on a visit after the first of the year. This entry was posted in Disney and tagged Epic Fail, New Fantasyland, Passholder, Walt Disney World. Bookmark the permalink.